Name: Samuel Ayres Spencer, Jr. Lieutenant Samuel A. Spencer, Jr., who is well known here, has arrived at Army Air Force Redistribution Station No. 2 in Miami Beach for reassignment processing after completing a tour of duty outside the continental United States. Medical examinations and classification interviews at this post, one of three redistribution stations operated by the AAF Personnel Distribution Command for AAF returnee officers and enlisted men, will determine his new assignment. He will remain here about two weeks, much of which will be devoted to rest and recreation. Lieutenant Spencer was a B-24 bombardier in the Mediterranean theatre. He is the son of Samuel A. Spencer, 1124 Roland Heights Ave., Baltimore, Md. Samuel Ayres Spencer, Jr., 95, of Scottsville, died peacefully at his home on Friday evening, November 9, 2012 after a courageous eight year battle with cancer. He was born on December 27, 1916, in Baltimore, Maryland, a son of the late Samuel Ayres Spencer, Sr. and Grace (Baldwin) Spencer. In addition to his parents, he was preceded in death by a sister, Ruth Spencer Kurth. He is survived by his loving wife of 58 years, Marguerite Leah (Patteson) Spencer (married April 7, 1954, Buckingham, Virginia); his niece, Nancy Kurth Martin; his sister-in-law, Cynthia Patteson Douglas and her husband, Dr. Bobby S. Douglas; Marguerite's nephews and nieces, Capt. B.S. Douglas, Dr. Caleb Douglas, Susan McCall, Lt. Col. L.W. Patteson, Sherri Ryan, and Stephen Patteson, all of whom he loved dearly. He also leaves behind many great-nieces and nephews, and cousins. He was a member of the Scottsville United Methodist Church, but had attended Sharon Baptist Church for over 50 years. He was a graduate of Scottsville High School and the University of Virginia. He served as a Lieutenant in the Army Air Corps from 1941 - 1945. He was a bombardier on a B-24 Liberator and had flown 43 missions. A funeral service will be conducted at 2:00 PM, Wednesday, November 14, 2012 at Sharon Baptist Church in Scottsville with the Reverends Perry Clore and Robert K. Spencer officiating. Interment will follow in the Scottsville Cemetery. Veterans are a breed apart...especially if they served in the same war. They are a fraternity of those who have put their lives on the line for each other and their country. This is especially true of our WWII veterans who are passing away -- almost daily. Men, women, and children contributed what they could, whether it was by actually serving in the military, working in factories, collecting tin foil, pots, pans, and coat hangers, buying war bonds, or keeping the home fires burning. It was an era of heroes. One such hero was Samuel Ayres Spencer. Born December 27, 1916. Died November 9, 2012. Sam was a quiet man, a gentle man with a subtle sense of humor and a quick wit. Before we say goodbye to you, Sam, we want to tell your story one more time. Sam grew up in Scottsville, graduating from Scottsville High School and from the University of Virginia. He was drafted into the Army on September 12, 1941. Like so many other small town boys, he embarked on a grand adventure, probably quaking in his boots but gritting his teeth, giving it his all, answering the call to duty with the best that was in him. And that was plenty! 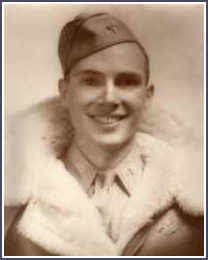 Sam served initially in the Coast Artillery, but volunteered for the Army Air Corps where he was commissioned a Lieutenant and trained as a B-24 Bombardier flying 43 missions out of Italy into Romania, Germany, Poland, Austria, and Hungary. On what he thought was his last mission, his aircraft was hit by flak over Romania and was going down but was desperately kept aloft by the pilot and crew until they landed in "neutral" Turkey where they were promptly interned. In the oral history interview for the Scottsville Museum, Sam noted wryly, "We were given thick Turkish coffee in exchange for our airplane." After 28 days in Istanbul, they were released and traveled to Ankara and then, Cairo. While in Cairo for two or three days, the crew rode camels, fought flies, visited the pyramids and the Sphinx. Then they were flown along the coast of Israel, on to Algiers, then Naples, Bari, and finally home base, Lecce, Italy. Sam's great adventure had taken him across the United States, to South America, North Africa, Asia Minor, and Europe. Most people who knew Sam never knew about his adventures. They saw him as a quiet businessman who was devoted to his wife, Marguerite, his extended family, and to his community. But, we know, Sam, and we thank you and those like you who made for us a better world.